Today isn't just a Friday. It's a Friday before a long weekend. Which makes it a little more special than usual. Every day is special, of course. We're here, which by definition makes the day worthy of being cherished. But being at the threshold of a little extended quiet and togetherness time raises things to a somewhat higher level. 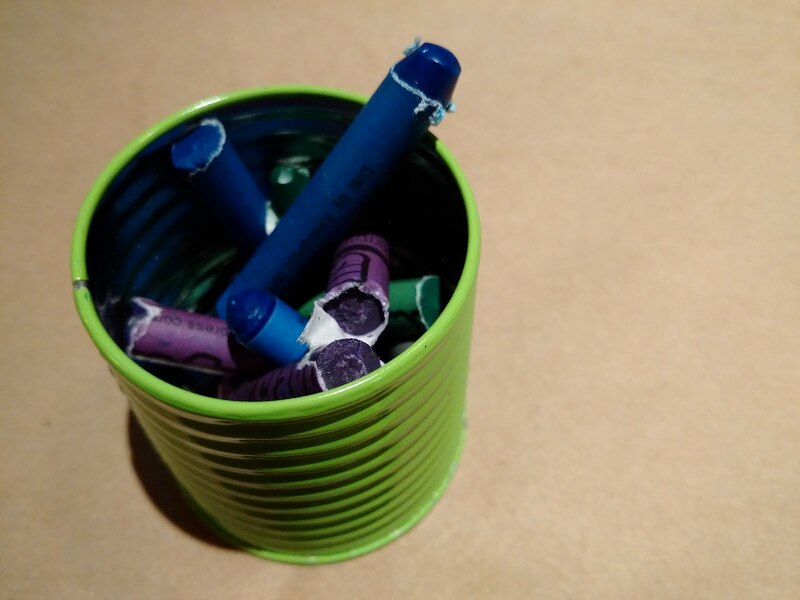 Which brings us to this can filled with less-than-perfect crayons. They remind us to take the time to scribble on the paper tablecloth. To take the time to doodle. To take the time to wonder about stuff. To take the time, period. I haven't been doing enough of that lately‎. Life has been delightfully busy, packed with crazy new adventures and challenges. But I haven't been picking up the crayons. Or the pen. Or the camera. I haven't been connecting with my inner muse, the storytelling gene that lets me take a timeout from life so that I can simply reflect on it. In short, I've lost track of my little can of jumbled, imperfect, beloved crayons. Time to get back to base principles. Carmi: I've experienced this too. Thus my posting of the serious and not so serious subjects. But when you are ready, you will surely post something cool. Have a nice weekend! You've made a good point. We all get wrapped up in 'the stuff' at the expense of 'the fun stuff' from time to time. I'll also have to find some of those crayons.